The best android betting apps – turn your smartphone into the best place to have a bet. The future of fixed odds betting is via bookmakers mobile sites and apps. High street stores will continue to trade, but as more and more people place bets via mobile devices instead of popping in store betting apps will become more and more important. According to Statista, as of 2016 Android was the most popular smartphone operating system in the world. During the second quarter of 2018 Android accounted for around 88 percent of all smartphone sales to end users worldwide. So, it comes as no surprise that many online bookies and gambling portals are developing their own Android betting apps. There are literally hundreds of betting apps in the Google Play store since Google changed it’s stance on gambling apps in the Googleplay store. Sadly not all of these apps are up to scratch and it would be a waste of time to download them, open an account and place a bet on them. Not all betting apps are legit. Why waste your time when you can take a look at our list below and install the best betting app onto your android phone or tablet. We have tried and tested plenty of betting apps found in the Android App store and have compiled our top 5 Android betting apps. Further down the page we explain how to install Android Betting Apps. 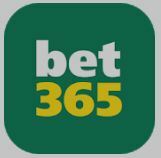 bet365 is one of the staple betting apps to install on your smartphone. Whether your sport of choice is football, greyhound racing, dog racing, basketball or another sport this app will be perfect. The app is easy to use, quick to install and fast to use. A huge number of betting features come as standard from bet365. Users can also take advantage of a plethora of betting offers and promotions all year round. The Betfair Exchange app is the top app to install if you want to bet on discrete events. Betfair is the leading betting exchange in the UK. If you want to back and lay the outcome of an event using your smartphone or tablet, Betfair is the app for you. You get Better odds – set the odds you want; Cash Out whenever and wherever you want and Bet In-Play across hundreds of markets, from wherever you are. If you happen to be a new customer at Betfair you can take advantage of a free bet. 888sport is the perfect app to install if you like to bet on the horse racing or football. They have some superb promotions for those of you who like to have a punt of the horse racing. The app comes with a few great betting features, is quick to install and fast to use. Navigating around the app is really simple, you can place a bet in seconds. The app is free to install and you can claim a new customer free bet if you’re a new customer. William Hill are one of the top rated apps in the Google Play store. If you want a punt on the horses or the racing William Hill’s Android betting app is for you. William Hill also focus on American sports such as the NFL if you fancy betting on something a little different. The app is free to download, quick to install and fast to use. Live streaming and cash out are included as standard. New customers can take advantage of a free bet upon opening a new account. How to do I get Android Betting Apps? Installing betting apps onto Android devices used to be a bit complicated. This was because the Google Play store didn’t allow gambling apps in the store. However, things have changed and betting apps can now be found in Google Play. This makes downloading and installing the app much much easier. The best way to get Android betting apps is to decide, using the content above, which betting app you would like to install. The follow the links above, create an account and then follow the bookies link to the App store the bookie uses to store it’s app. This is where android apps are stored, along with other content that you can install on your smartphone. The great thing about betting apps is that they are free to download so you won’t need to pay for the app. Open an account if you need to. Once on the bookies app page, tap on ‘Install’ and the app will download onto your phone or tablet. If it happens to be your first time in the app store you may be prompted to sign in with your Google credential. It will also prompt you to allow back up of apps to your Google account, and require you to accept the terms and conditions. It takes just a couple of minutes. What to do if your Can’t find the Bookies App Download Button? If you can’t find the bookies download button. Don’t worry, we’ll have you sorted in a minute. Simply follow the link to the bookies site above and open that new account. Then head over to the Google Play store using the icon on smartphone or tablet. Tap the Apps icon on the home screen. It usually looks like a bundle of dots at the bottom of the screen. Tap the magnifying glass in the top-right, type in the bookies name, and tap the magnifying glass on the keyboard to execute the search. Some suggestions will pop up below the search box as you type, which you can tap to reach directly. Results will be presented for apps, movies, and books. To the right of the Apps subheading, tap the “___ more” button to see the full listing of results. Tapping the three dots on the right side of each entry will provide options to install right away or add the app to a wishlist for future reference. Tapping the box itself will provide more details for that app, including screenshots, video, a description, and reviews from users like you. 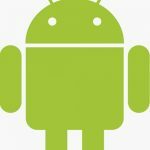 How To Install an APK file from another Source? If the betting app can’t be located in the google Play store you will need to install it manually. Visit the bookmakers app page. Tap the Android Sports App. Tap OK when prompted with a message about downloading the APK file. Go to ‘Security Settings’ in your phone’s Settings, and tick ‘Allow installation of apps from unknown sources’. Open the Bookies Android app from your downloads and follow the install instructions. It will now be installed on your phone. Enjoy! How To Place a Bet on an Android Betting App? If your selection is correct, select Place Bet. How To Uninstall The Android App? If for any reason you want to uninstall the betting app from your Android device. Swipe down from the top of the home screen to bring up the settings window. You may need to swipe down from the top-right side of the screen. Tap the gear icon at the top, then tap Apps under the Device subheading. Swipe to the left until you’re on the Running tab. Tap Show cached processes at the top to see background apps. Swipe to the All tab and tap problematic apps to force stop, uninstall, or cease notifications. That’s how you find the the best Android betting apps, as well as download and uninstall them. If you are looking for something other than android apps take a look at our home page which reveals everything you need to know about mobile betting.